A LOVING wife has been shocked to find the care for her quadriplegic husband has been slashed just because she moved to Toowoomba. The hours of care were cut from 35 per week to just eight. She was told the reason was because regional centres receive less funding. Since suffering a stroke in July, 2001, John Neylon, 72, has been a quadriplegic. He is unable to talk and requires around-the-clock care. His wife of 50 years, Dawn Neylon, 70, has been by his side helping with his day-to-day needs for 13 years and said life had become harder now she was receiving minimal help. 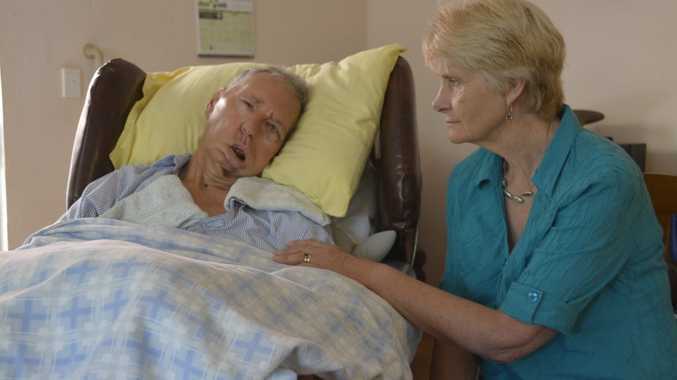 "The Government used to fund 35 hours of in-home care assistance when I lived at the Sunshine Coast and I would have someone help me shower John, put him to bed and just help with general housework," Mrs Neylon said. "Now that we have moved to Toowoomba, I only get eight hours a week assistance and it's just not enough," she said. In May last year, the couple moved to Toowoomba from the Sunshine Coast after financial difficulties meant they had to sell their family home. For the past seven months, the pair has been living with Mrs Neylon's daughter and her husband. Mrs Neylon said she was pre-warned that when she moved to Toowoomba the support she received would be cut. "Before moving, I got in contact with Commonwealth Respite and Carelink Centre and they told me the maximum in-home care help I could get would be 12 hours a week. I couldn't believe it," Mrs Neylon said. "They told me it was because regional towns don't receive as much funding as metropolitan areas. "It's a shock to see how little funding Toowoomba agencies receive from the Government to help people like us. "The centre said they have waiting lists with up to 70 people in them waiting for daily help. "My life has become so much more difficult now because I have to shower John myself and it's a full on job, it has become unsafe for both of us." Does Toowoomba lack services and support compared to metropolitan areas of Queensland? This poll ended on 11 January 2015. Federal Member for Groom Ian Macfarlane said that as part of the Aged Care Approvals Round last month, the Federal Government announced $833 million in funding for aged-care across the country. "Ninety new Home Care Packages, 386 new residential aged care places and $4.1 million in new capital grant funding was provided in the Darling Downs Aged Care Planning Region in which Toowoomba is situated," he said. 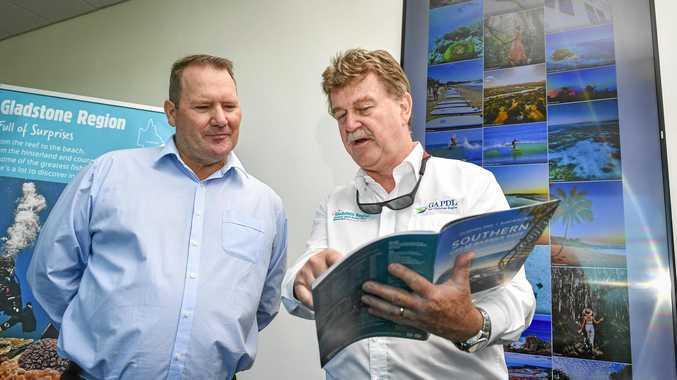 "These new places for the Darling Downs region build on the existing 2343 operational residential aged care and 834 home care places across the region." Mrs Neylon said she would not consider putting her husband in a nursing home. "I was given an opportunity to put John in a nursing home when we first moved here but that just isn't an option," Mrs Neylon said. "It would be far too difficult for John to go into a home because he can't speak so nobody would know what he needed. "He has what is called 'locked in syndrome' where his mind works fine, but his body can't communicate his thoughts. "He has a buzzer which he communicates through, so I can understand him, but the staff at the nursing home would have to learn as well and they just wouldn't have the time. "Something needs to be done about funding for regional communities," she said.